6 weeks of school summer holidays is a lot of time to fill. And there’s only so many times you can watch Minions or go to the playpark. We might have our fingers crossed for sunshine, but we don’t know whether the weather is going to be heatwave or horrible. So we’ve made a list of what’s on and ideas for things to do with kids in Glasgow this summer. Come rain or shine, there’ll definitely be something here that you can do with your sprogs! Glasgow’s only city beach is back for the whole summer holidays! 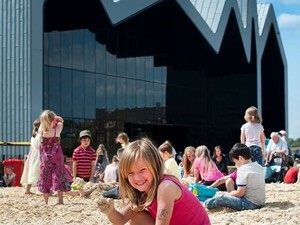 Located next to the Riverside Museum, the beach is back from the 26th of June until the 1st of September 2015, for the entire school holiday (plus a little bit extra). It’s open from 10am – 5pm Monday to Thursday & Saturday, and from 11am – 5pm Friday & Sunday. And it’s free. More info here. Cycling is a great way to entertain the kids if the weather isn’t too terrible during the school holidays. Get your bikes out & have a wee cycle along the Clyde, along the Kelvin or around any of the parks. Check out Freewheel North down in Glasgow Green and try out some of their trikes and bikes. It’s £1 to have a go – excellent value. See a review from a Glasgow mummy & toddler here. Kids can also learn to ride a bike a Freewheel North (£1 per session as per the normal rate). If you fancied being a bit more adventurous you could try out some mountain biking on the trails at Pollok Park, Cathkin Braes or Whitelee Wind Farm. More info on mountain biking around Glasgow can be found at Where to Ride. Or you could go on an adventure & cycle to Loch Lomond, have some grub by the Loch and then get the train back! If the weather is too terrible to go outside this summer holiday, kids aged 8 years plus can have a go on the cycling track in the Chris Hoy Velodrome. Sessions cost £7.60. More info at glasgowlife.org.uk. The Emirates Arena are also running week-long courses for 3-4 yr olds to learn how to ride a bike. These are £16 for a block of 5 lessons lasting 45 minutes each. More info at glasgowlife.org.uk. The magical world of Ben and Holly is brought to life on stage in Glasgow’s King’s Theatre in this exciting & enchanting musical adventure packed full of games, songs & laughter. 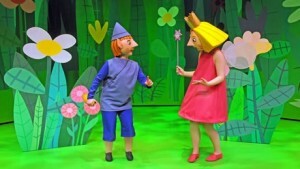 Ben and Holly is on the 15th and 16th of July in the King’s Theatre. Tickets start at £14.50. More info here. You can try out trampolining, tennis, table tennis, the gym, plus loads more at various Glasgow Life locations throughout the city. Cost varies by session. Full info is at Glasgow Life. If you’re a Lego fan, you’ll definitely want to check out the Lego Bricks exhibition – famous cities, historical landmarks, films and vehicles are all recreated in Lego form. Using perhaps just a few bricks or many thousands. From the French Arc De Triomphe to a recreation of the Wizard of Oz, you will be amazed. You can create your own brick built creations from 10am – 4pm each day in the Lego Room too (last entry to the Lego room is 3.30pm). Lego Bricks is at North Lanarkshire Heritage Centre until the 15th of August. A small charge applies. Full info here. The RSPB are hosting loads of events during the summer around Glasgow. 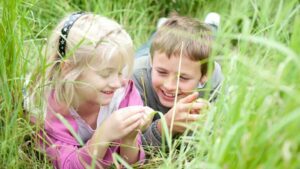 You can learn bushcraft in Kelvingrove Park, check out some Minibeasts and creepy crawlies in Kelvingrove pond and take part in the Kelvingrove Bioblitz. Even if the summer holidays aren’t full of sunshine, stick on some wellies and take part! Don’t miss the RSPB Mini Garden Festival in Kelvingrove Museum too, on the 4th and 5th of July. The Tweeting Toddlers RSPB singing and rhyming group for toddlers and parents is on certain Tuesday’s throughout July too in Kelvingrove Museum. Dates vary by activity. Most are free, but a small charge applies to a few. All the info is available at rspb.org.uk. If you have a budding young artist, the Saturday Art Club at GoMA is on throughout the summer, every Saturday from 10.30am – 12 noon. And it’s free. Parkhead library, Whiteinch library, Springburn library, Woodside Hall, Hillhead library, plus quite a few more also have craft & creative clubs. Activities include jewelry making, card making, clay modelling and other creative activities. Also free. All the info is at glasgowlife.org.uk. 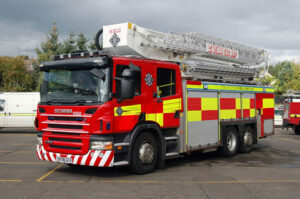 For one weekend only, Riverside Museum is hosting this special event with our friends from the emergency services. Don’t miss this fantastic opportunity to find out more about what they do, check out the emergency vehicles: police cars, ambulances and fire engines, and equipment. And of course, get your photo taken! On the 25th July from 10am – 5pm, and the 26th July from 11am – 5pm. See all the info at Blue Light. If you kids are tiny thespians, check out the Summer Academy in the Citizens Theatre. These are fun and exciting summer drama courses for 6-18 year olds where they can meet new friends and learn new skills. There will be 2 courses (each 2 weeks long) for all age groups over the summer, on for 2 weeks beginning the 13th of July or the 27th July. Classes are on Monday to Friday from 9am – 3pm. The 2 week block costs £205. Full details available at citz.co.uk. Go feed the ducks in Victoria Park, Kelvingrove Park, Kings Park or Queens Park. Go on a squirrel hunt in any of the parks with trees. Go to your local park and have a play on the swings. 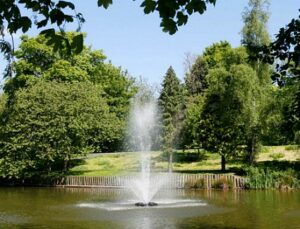 Have some lunch in Kelvingrove, Rouken Glen or Pollok Park at their cafes, or take a picnic (and perhaps a waterproof picnic blanket) with you and enjoy some al fresco lunching on the cheap. Take some teddy bears with you and turn it into your own teddy bear’s picnic! The Glad Cafe has a pop-up in Queens Park this summer too, serving tea, Dear Green Coffee Roasters coffee, soft drinks, filled rolls, Big Bear Bakery and Wild Flours Gluten Free Bakery cakes and ice cream in the cabin next to the arena. Open Tuesday through Sunday from 10.30am – 4pm. Hopefully this school summer holiday will be sun filled so we can enjoy some picnics and playparks! Traditional Tunes for Tiny People is a high energy Scottish traditional musciic performanc designed specifically for an early years audience (3-5yrs) led by Siobhan Miller and friends. Also on the bill is StringSound string trio who perform children’s classic stories through music and the Champagne Flutes flute trio who introduce little ears to the exciting and colourful world of classical music. 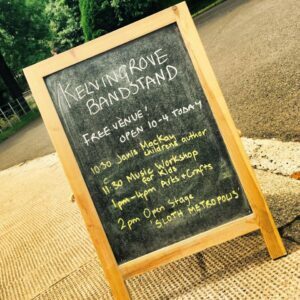 It’s on from the 1st until the 5th July in Kelvingrove Bandstand with 2 sessions per day from 10am – 12 noon and from 2pm – 4pm. And it’s free. A whole weekend of glorious music from the Fox Star Community Arts Festival in partnership with Glasgow Life. Saturday and Sunday feature a whole host of fantastic musicians and bands along with spoken word, kids activities and lots more. It’s on the 25th & 26th July at Kelvingrove Bandstand from 12 noon. And it’s free. The Hatching the Past exhibition is on in Kelvingrove Museum and Art Gallery. 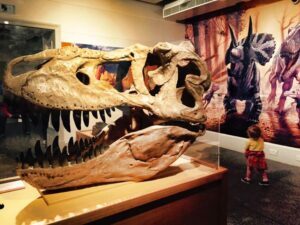 Learn about dinosaur family life, including how they cared for their young and discover how important the study of dinosaur eggs has been in understanding these fascinating creatures. You can be an archeologist for the afternoon and dig for fossils too. The exhibition is in Kelvingrove until the 16th of August. Costs £5 entry for adults, £2 for 5-15 yrs and free for under 2’s. More info at Hatching the Past. Good to fill a morning/afternoon this summer holiday. And the rest of the museum is free for a wander round too. Come along and have fun with the Pool Inflatable, Water Walkerz and Fun, Floats and Flumes. Great idea for rainy days this school holiday! Children under 8 years must be accompanied by an adult at all times, and must be able to swim 20m without stopping. Height restrictions apply for flumes. On in Springburn, Easterhouse and Gorbals pools on various days throughout the summer. Costs £1.90 per session. Accompanying adults pay full price. Full details available at events.glasgowlife.org.uk.